You Sent Out Your Resume – Now What? And now you’re hoping that the company will see you as a good fit and call you for an interview. However, instead of hoping, waiting, and leaving yourself to feel dejected by a lack of response, it’s time to take action! 1 – Ensure that your digital identity is in line with what you sent. 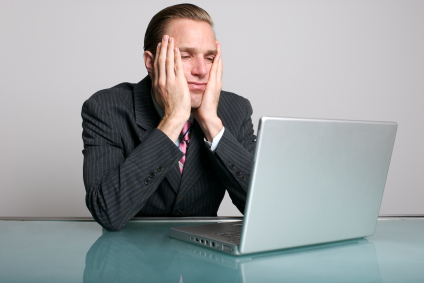 Neglected your LinkedIn Profile or set it up in a hurry? Now’s a great time to go back and look it over with a critical eye. Does it represent your career level, or just provide a dry listing of your jobs? If the latter is true, you’re missing a golden opportunity. Power up your LinkedIn Summary to show the job you are targeting—NOT just the one you hold now. Add your desired job title as part of your headline (which will help with keyword hits), and accomplishments that demonstrate your capability to take the next step up the career ladder. You can expect both hiring managers and interviewers to scan your Profile within days of receiving your application. Therefore, you’ll need to give your online credentials the same attention as your resume. 2 – Follow up with a real person. This is where LinkedIn can come in handy. Use the site’s Advanced People Search function to locate company insiders, especially those in positions that might hire you. Now, take your cover letter and resume, and send them directly to your new contact—using old-fashioned postal mail (which is less likely to be ignored). Chances are good that you’ll be in direct contact with your new boss, and it’s possible that this person hasn’t seen your resume come through the website. Put a sentence in your letter that explains how you’ve went through the typical channels to apply for the job, but that you wanted to have the opportunity to contact him or her directly as well. 3 – Consider targeting the company’s competitors. If you’ve already identified a specific employer that is hiring in your field, there’s a good chance that its competitors in the same industry are also in need of new employees. In fact, that great company you just applied to may actually intend to hire employees AWAY from its competitors. So, using the same methods to find a contact name as in Step #2, ready your resume and cover letter to target these other firms. Explain that your research has uncovered growth in the industry (you DID remember your fieldwork, right?) and that you believe your areas of skill will help them meet business goals. Don’t forget to address the company’s specific pain points and your methods for solving them, of course. If the original firm you targeted ends up hiring the competitor’s staff, you’ll now be in first place for a shot at a new job opening. If not, you’ve still likely hit the jackpot for an industry in need of fresh, new talent – including YOU. The bottom line: rather than handing over all the power to employers, you CAN make progress on your search—becoming visible among the crowd and continuing to take positive action toward your goal. I have a query to the author. If we send cover letter by old way. won’t employer think that applicant is over enthusiastic in the job? Excellent ideas for the job search process. So many people think that all that is necessary is pushing the send button. They wait and wait and hear nothing back. Being pro-active and following up after sending your professional resume demonstrates that you would also be pro-active in your position with that employer. Being pro-active gives your prospective employer some insight into your personality. Are you a “sit back and do nothing” sort of person? If not, then don’t sit back and do nothing!